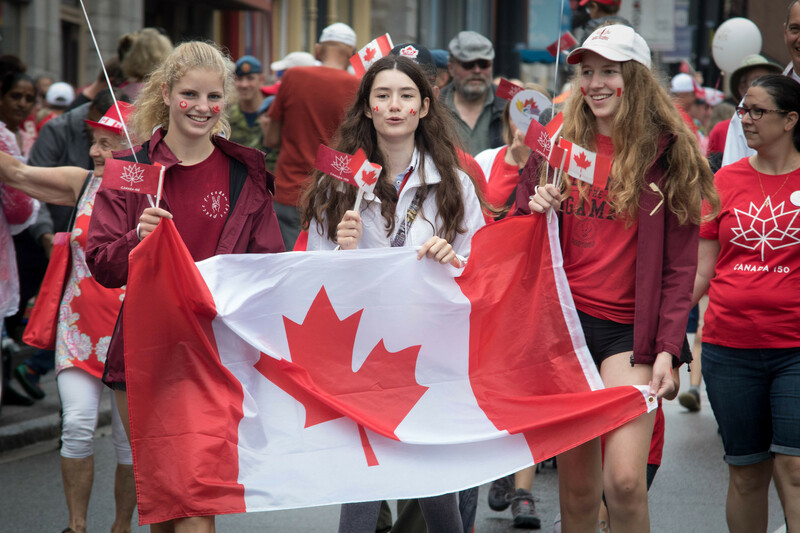 Take your pick from Canada Day fun, the Buskers Rendezvous, three theatre fests, a new craft cider event, and more. The city’s biggest outdoor art party of the year is back for Canada Day weekend. 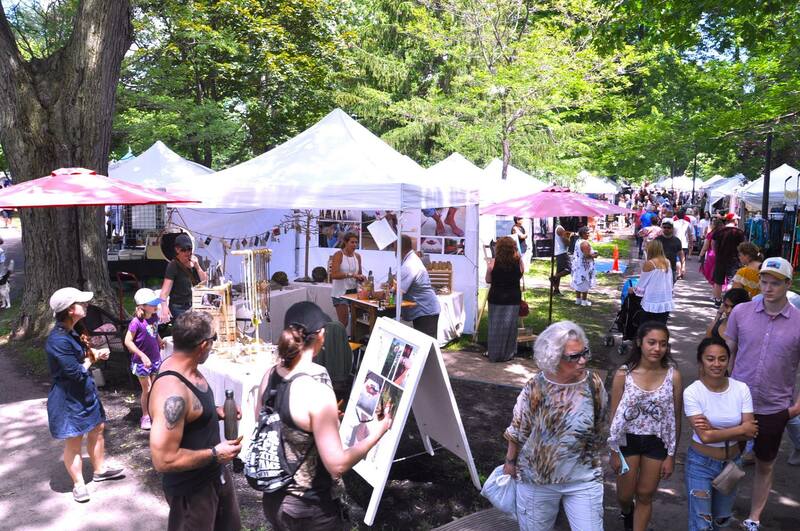 About 200 artists and artisans from across Ontario and Quebec will be at City Park with everything from pottery to glass to wood to jewellery works for you to browse and buy. There will be live music, art workshops, outdoor theatre, and poetry readings, too. 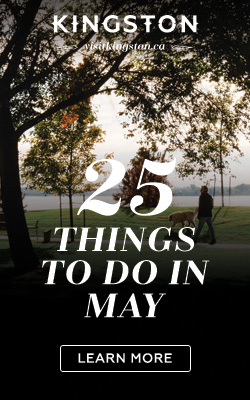 Plus, gourmet food, a craft beer and wine tent, and a First Nations artist pavilion. These Wednesday evening shows recreate 1860s military life with a lot of artillery, cannon fire, drums, and state-of-the-art narrative elements. And what better place to get a taste of that life than inside a 19th-century fort and World UNESCO Heritage Site? 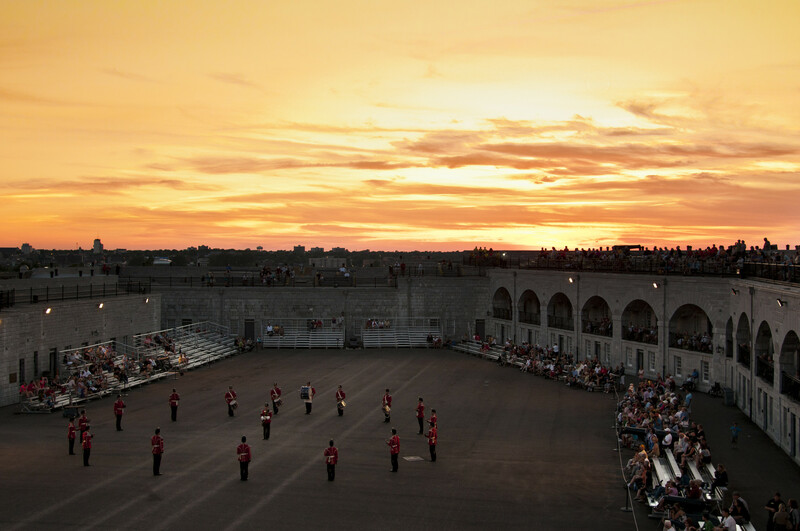 The show has been redesigned this year, but Fort Henry’s own Guard Drums, Drill Squad, and Artillery detachments will still be your hosts, and that blazing sunset will always be your backdrop. 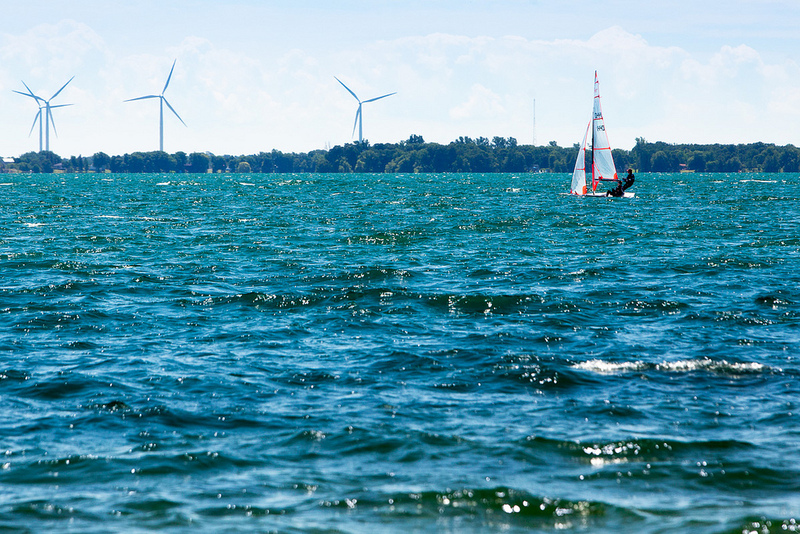 Almost every summer since 1969, Kingston’s waters have filled with sailboats from all over the planet. A lot of the people in those boats come to train for and compete in a variety of world-class events during the Canadian Olympic-training Regatta, Kingston (CORK). They come because we have some of the best fresh-water sailing on Earth, excellent wind and wave conditions, and an Olympics-worthy venue. Hit the website to see when competitions happen, and then head to the waterfront to see who wins. The fire breathers, knife jugglers, and multi-instrumentalists will hit downtown streets for the 30th year this July. 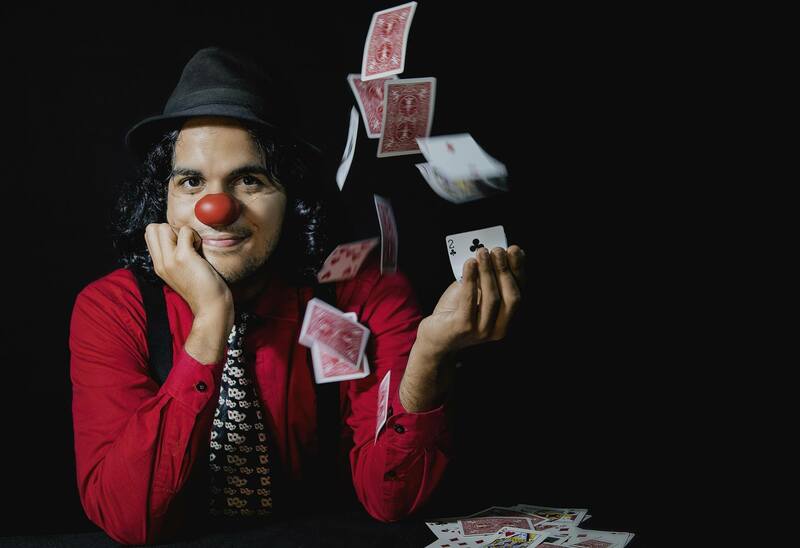 Over 20 performers are expected, including Ace-K, a Japanese performer with a unique set of acrobatics, juggling, and balloon manipulation; Chris Blaze, a high-energy fire ninja from Australia; and Cabl, a ukulele quartet from Kingston that plays revised covers of classic hits. Performers are paid by audience tips. The month of theatre fests kicks off with this one featuring two evenings of original short plays written by local authors. 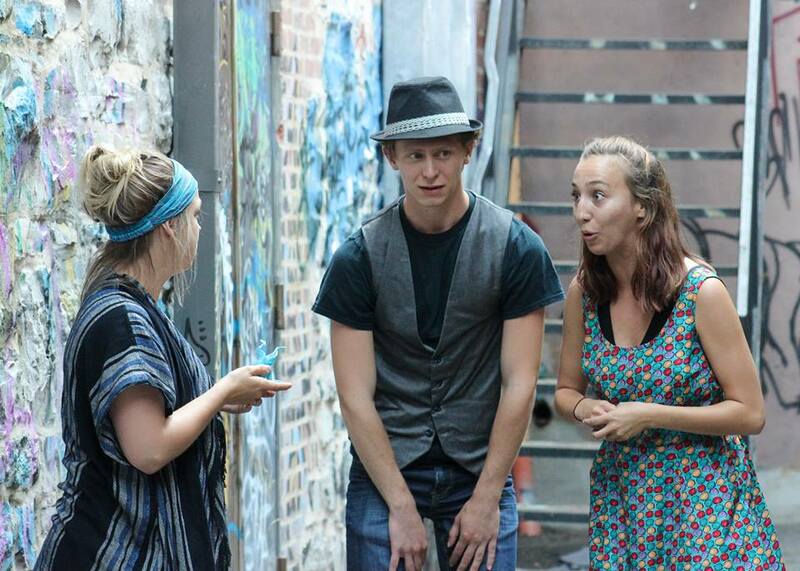 In one play, two people in their 30s or 40s are arrested without explanation and brought to a cell they’ll share. In another, a woman tries to figure out why she was abducted and let go two provinces away. The best production, as chosen by a panel of judges, will represent Domino Theatre at the Eastern Ontario Drama League One-Act Play Festival in Kingston this fall. 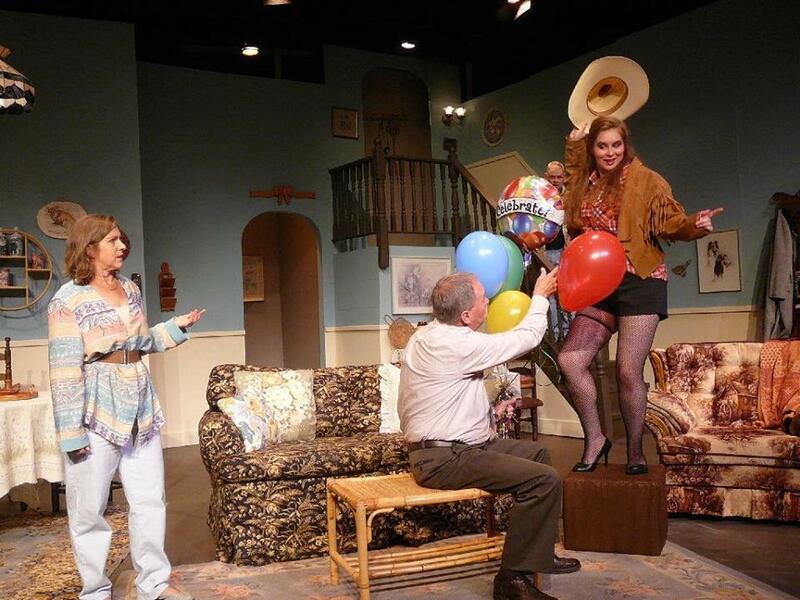 Don’t be surprised to take a seat in a living room at this second theatre fest of the month. Or maybe you’ll be invited to join a basketball game onstage. 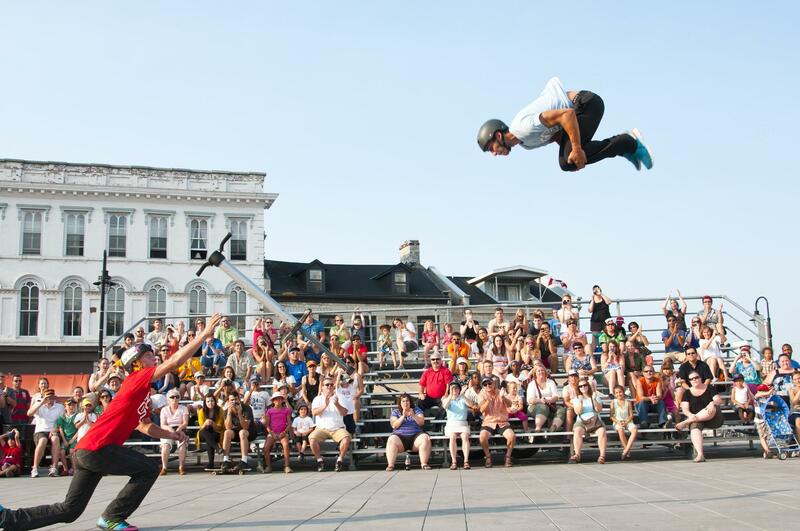 Wherever you end up, know that Kick & Push is a professionally-run festival featuring award-winning Canadian performers and original award-winning works. The Grand is the base, but performances happen at eight venues all over downtown. The third and final theatre fest of the month will take place in three empty storefronts downtown. As of writing, 18 independent individuals or theatre companies have been confirmed to perform in those spaces. Half of them are from Kingston; half are from Toronto, Ottawa, and elsewhere, including Brazil. As with any fringe fest, expect uncurated, uncensored, and unboring works. 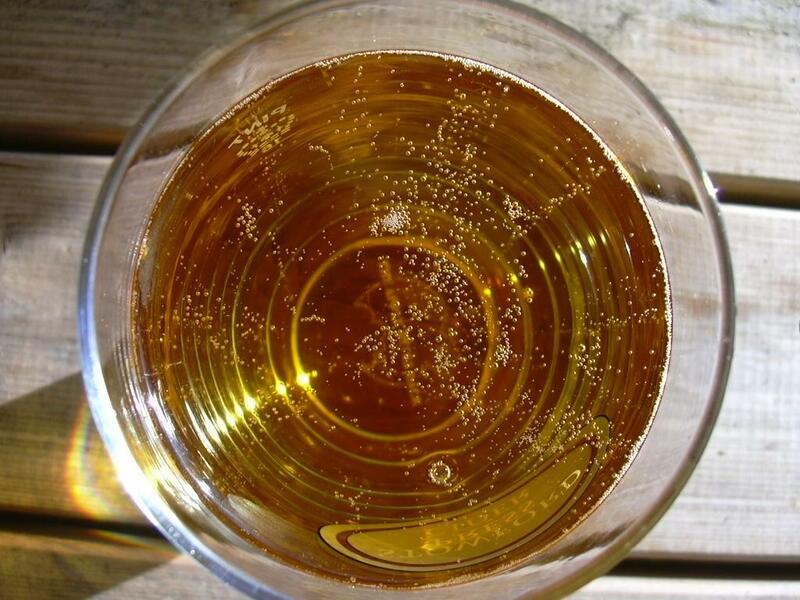 This fest aims to give you a good taste of some of the best hard ciders from around the province. So far, three brewers have been confirmed: Collective Arts Brewing (Hamilton), The County Cider Company (Prince Edward County), and The Hard Way Cider Company (Bath). You’ll find them all inside The Brooklyn or outside under a tent. Admission includes 5 sample tickets and a souvenir glass. Food vendors will be there, too. 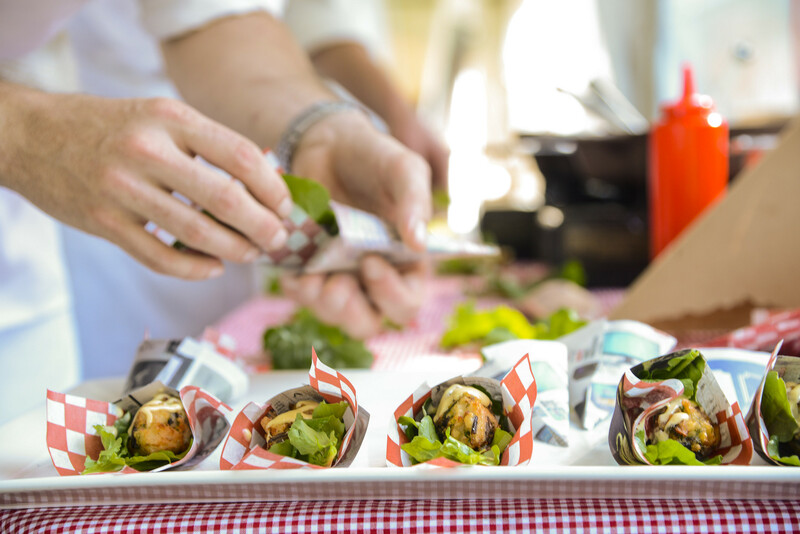 Some of Kingston’s top restaurants will be at Confederation Park for this annual food fest and Diabetes Canada fundraiser. Each of them will have bite-sized creations on offer that have, in past years, included everything from grilled cheese paninis to butter chicken to roasted garlic bruschetta. Tasting tickets are $1 each, but each sample could require up to five tickets. All proceeds will support Diabetes Canada’s D-Camps for children and youth with type one diabetes in Ontario.